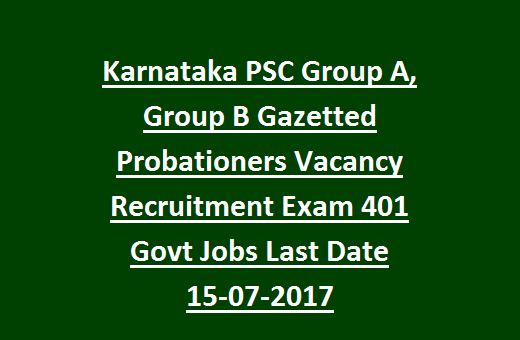 filled applications before 15/July/2017 for KPSC Gazetted Probationers Jobs. Total available vacancies in KPSC Gazetted Probationers Recruitment: 401 posts. is 40 years and for 2a/2b/3a/3b is 38 years. please go through the official notification. question for 200 marks. Total marks 400. Main Exam consists of seven papers all are compulsory. application with scanned photo and signature before 12-06-2017.